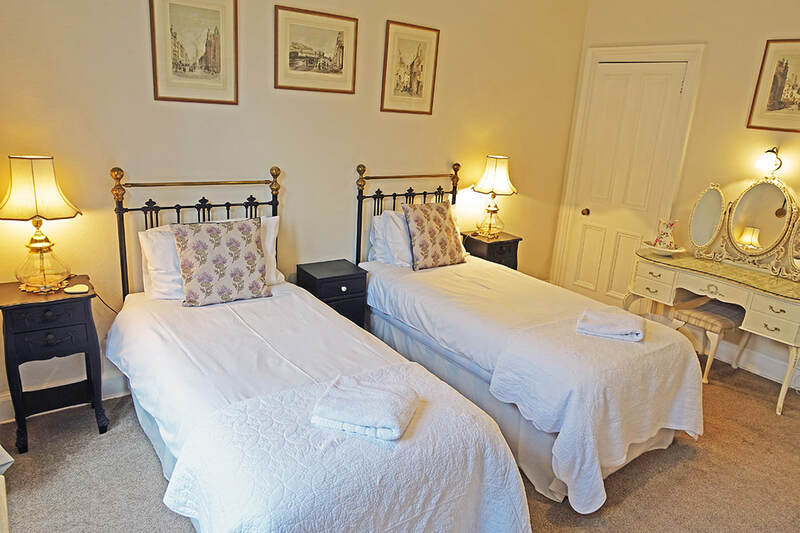 Two single beds in a large room. Ornate dressing table. Walk-in cupboard. 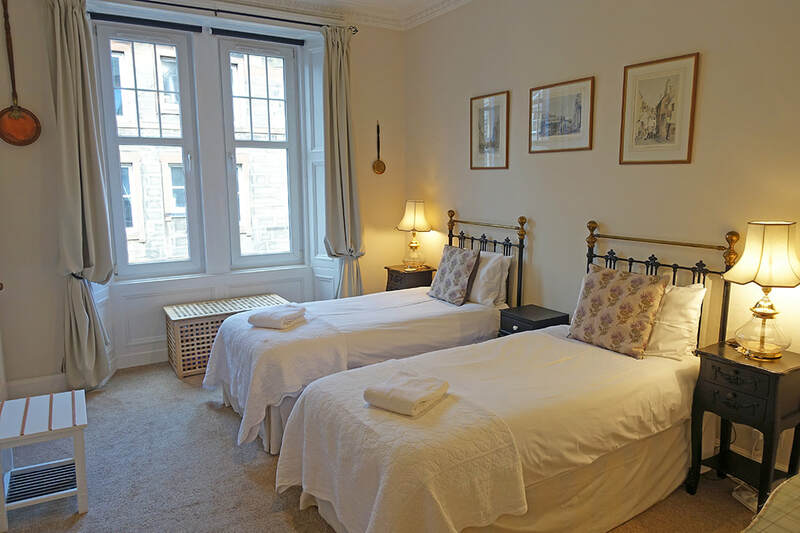 Single folding bed can be provided. Cot & high-chair available. Toys, books and wooden Brio train-set for children. ​A wee bit of fun with our dressing up box! 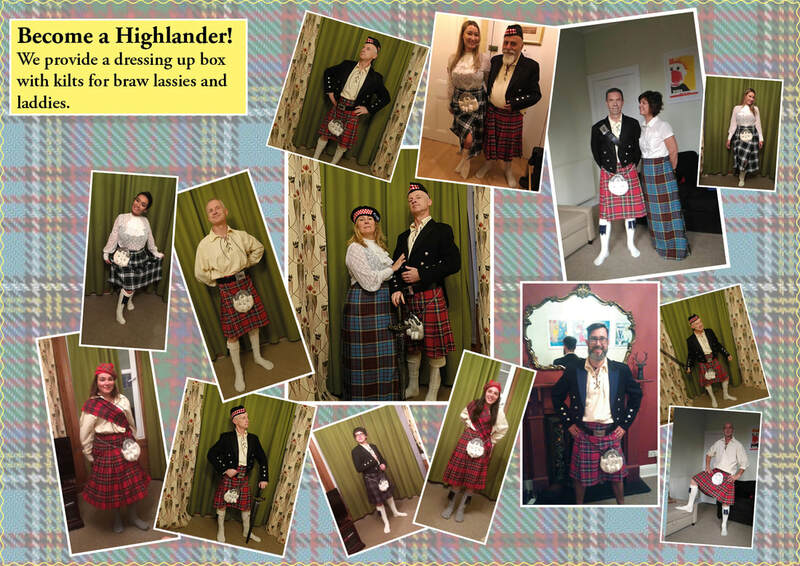 Dress like a Highlander or a lassie from Outlander! Mens, ladies and child's kilts, jackets, sporrans, socks – entire outfits (4 men's kilts, 3 ladies) – ye'll look awfy braw.